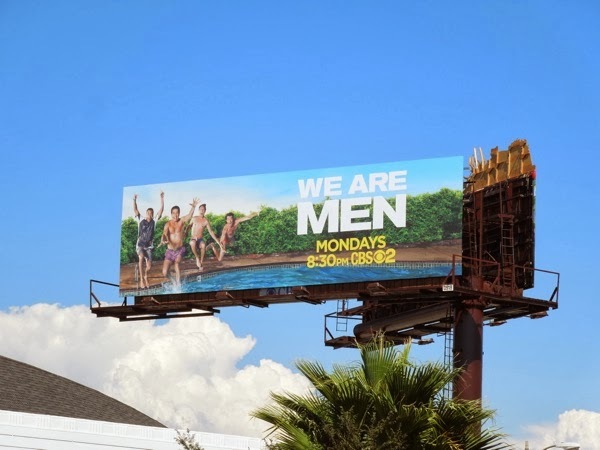 If Daily Billboard had to choose one new show most likely to fail this fall season, it would have to be We Are Men, as this show is archaically titled and feels like a bit of a dated concept, probably riddled with chauvinistic stereotypes. When Carter (Chris Smith) is jilted at the alter he moves into a short-term apartment complex and gets dating and life advice from his three divorced and more experienced 'band of brothers' neighbours, including Monk's Tony Shalhoub, Sliders Jerry O'Connell and House's Kal Penn. 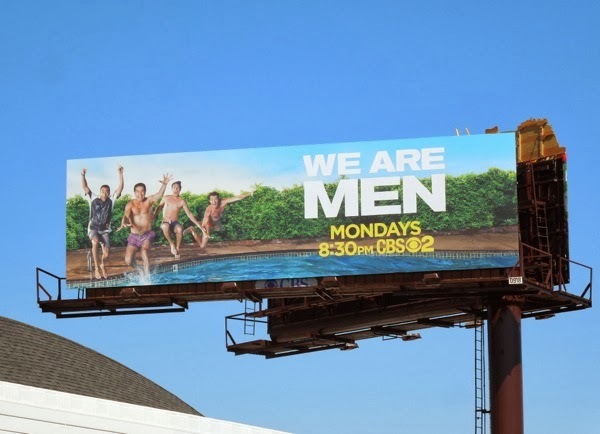 These series premiere billboards which seem to evoke the Grown Ups movie franchise, i.e. men trying to recapture their youth, were snapped along Vine Street at Santa Monica Boulevard on September 3, plus along Pico Boulevard at La Cienega Boulevard on September 7, 2013. What do you think, will We Are Men rise to the top, or sink to the bottom of that swimming pool without a trace?